Backtracking and front-tracking – A workout trip down the lanes of memory via a brand new record player and a collection of some very old LPs. Noooooo! Maybe I’ll drag this album out again on my next acid trip (as if). I feared I was going to have to work out to a nine minute Ginger Baker drum solo, as the second side consisted of one song, his “Do What You Like.” But it was worse than I remembered; a 15 minute showcase of all the instruments including the dreaded bass solo. And now, here comes Ginger. And yes, I can write lying on my back with my legs up against the wall. Which is what I do for the next nine minutes. Remembering my brother on his birthday. Coincidently, this was his album that he wrote his last name on and I guess he didn’t want anymore. I think he had slipped this one into my collection and lifted the brown album from The Band AND Delaney and Bonnie and Friends. 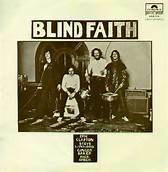 Sorry to any Blind Faith fans, but I got the worst of that deal. Love you Davey, wherever you are.